We established our Patron Scheme in 2013 to enable us to continue delivering high quality arts projects during a time of ongoing changes in the arts sector and increasing cuts to public funding. 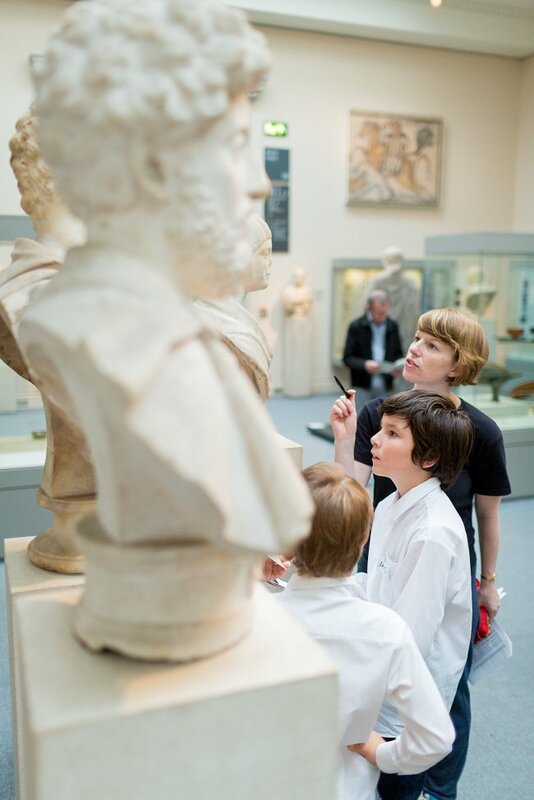 The Patron support we have received so far has helped make the Dancing in Museums project happen, giving us the opportunity to work in museums with over 1600 young people and engage thousands of new audience members, many of whom would not otherwise have had this access to dance performance. With our Dancing in Caves project on the horizon, we are once again inviting you to join us as Made By All Of Us Patrons, becoming co-commissioners of our work now and in the future. Your donation, whatever the size, will be invaluable. Donate now through Paypal use the following links and find more information in our Patron Scheme Information Pack. Please contact us using our 'Email us' form here to let us know when you donate so that we can thank you properly! £20 enables a child to experience a project in its fullest sense by participating in a workshop and watching a performance. £100 contributes to many of the building blocks needed to make a project happen, paying for a day of rehearsal space for example. £400 enables two Company members to facilitate a full day of workshop activity for up to 90 children. A donation of £1,000 makes a performance happen, enabling us to work with a museum or heritage site that might not otherwise be able to collaborate with professional dancers. Any donation will greatly help the development of our work and enable us to continue engaging with new audiences in unusual spaces. Images from Benedict Johnson, Pari Naderi.